Gfi1 is participating in the early steps of pro-T cell and a number of target genes have been identified for Gfi1 such as Id1, 2, both inhibitors of the HLH transcription factor E2A and Bax, a proapoptotic gene and antagonist of Bcl-2. 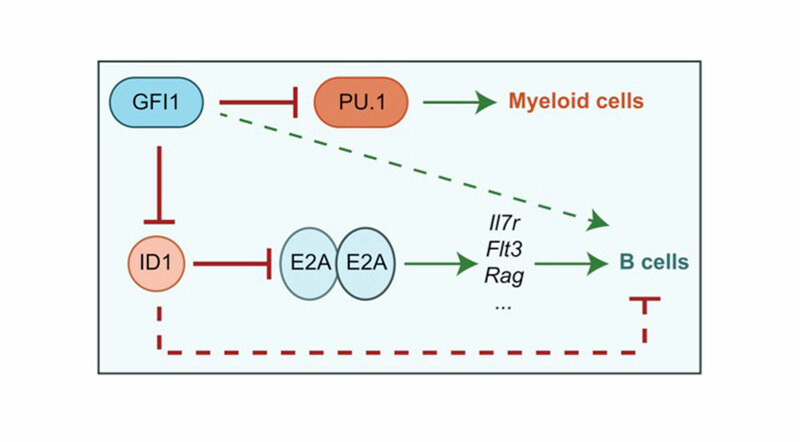 Another direct target gene is PU.1, which is repressed by Gfi1 at the early DN1 stage to allow lymphoid differentiation and to block myeloid differentiation. In addition Gfi1 inhibits PU1 directly by binding to it. 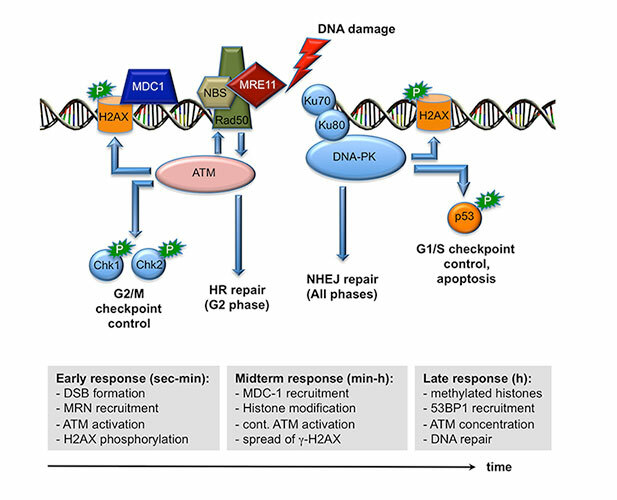 We also know that Gfi1 represses target gene promoters by recruiting histone modifying enzymes such as the histone methyl transferase G9a that dimethylates Histone H3 at lysine 9, the LSD1/CoRest complex that demethylates Histone H3 at lysine K4, and HDACs1-3 that deacetylates histones at various sites. We have discovered that the expression level of Gfi1, i.e. the concentration of Gfi1 is important for its function in these early steps of immune cell differentiation. 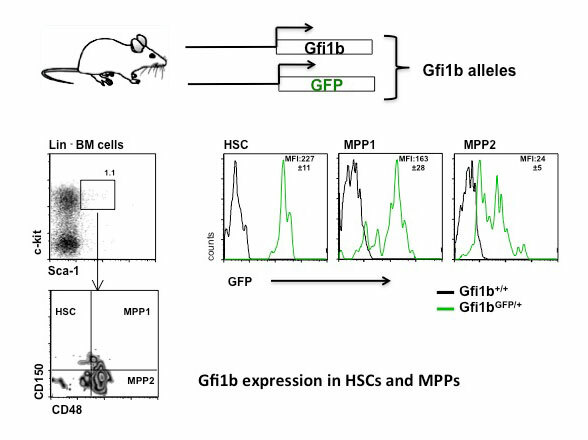 This project aims to clarify how this is regulated and which consequences low Gfi1 expression has for lymphoid/myeloid cell fate decision of precursor cells and whether this is critical for the development of leukemic in this early compartments.